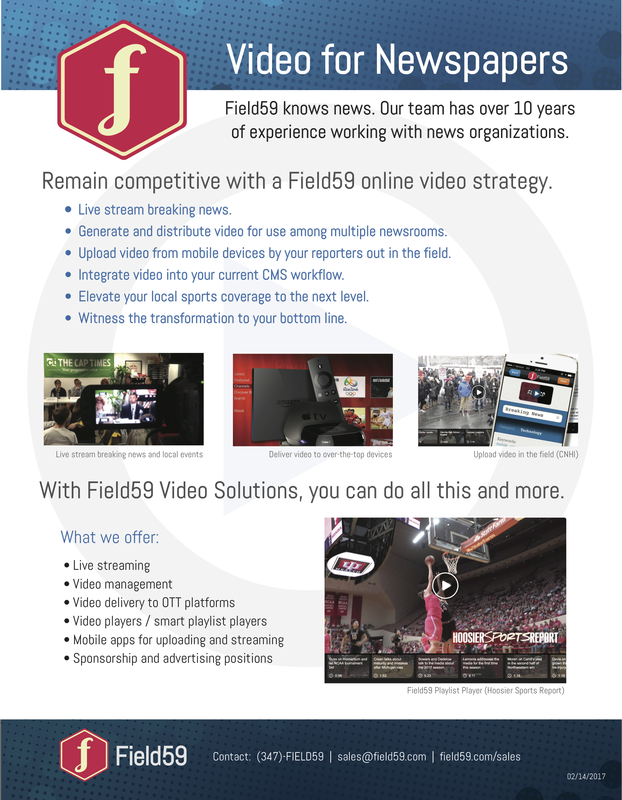 This article is a guide to producing closed captions for web videos using Field59’s video capture box integration with the Blackbird editor. There are two different ways you can get video with captions into the managers. 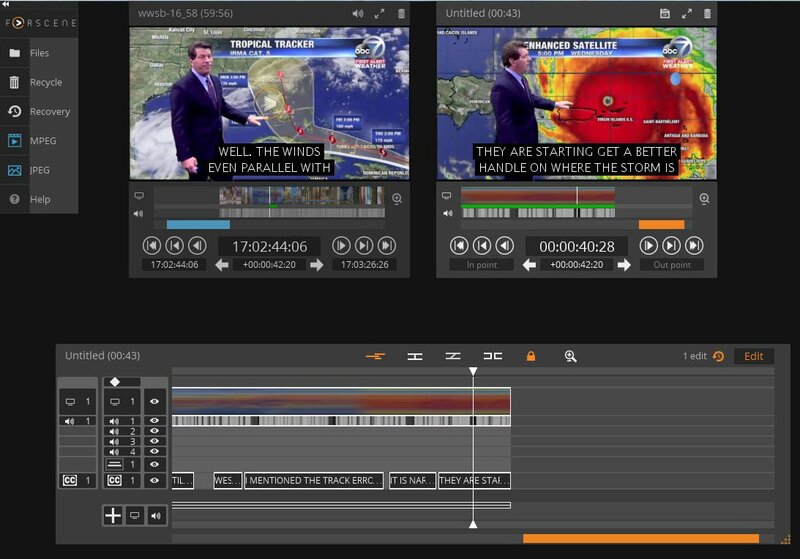 One is primarily for broadcasters using the Blackbird editor. For non-broadcasters, please see our articles discussing how to upload closed captions to the manager or how to create your own captions in the manager. If you are a broadcaster using our video capture box, you can send closed captions to the box along with your SD-SDI or HD-SDI video source. 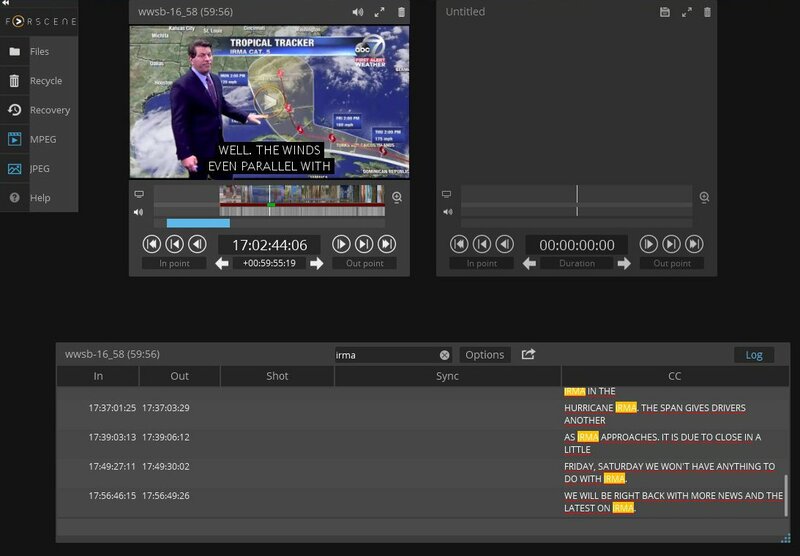 The capture box has software that decodes the CEA-608 or CEA-708 captions and displays the data as an editable track in the online editor, which is powered by Blackbird. 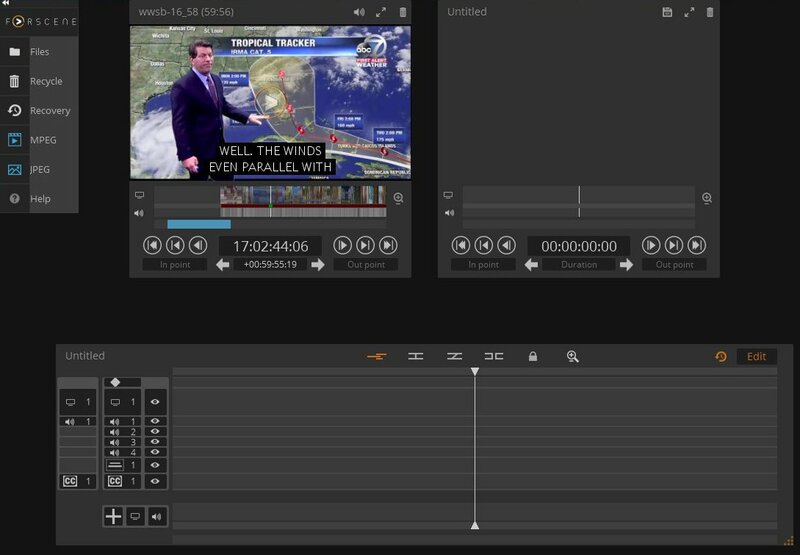 In the editor, when a user opens a source file from the capture box and loads it in the left side window (blue accents), the closed captions appear on the source video. (Although captions appear overlaid on the video in the editor, this is not how they will appear on your site. Your site’s video player will handle the appearance of the captions). Users can search on the caption data and jump to that point in the clip. To do this, click on the orange “Edit” button at lower right to change it to the blue “Log” view, which displays information about the source video in the blue window, including the captions. Enter your query into the Search box to pull up results from within the source video, and double click on the In or Out time to jump to that portion of the video. You can then set your mark-in and mark-out times. After selecting your mark-in and mark-out times and moving the clip to the right-side editing window (orange accents), change the the blue “Log” view to orange “Edit” view. Captions display as a track on the timeline at the bottom. If necessary, captions can be edited prior to transcoding by double-clicking into the caption track. The portion of the captions the user is editing changes to pink and the user has cursor control to edit as needed. If you do not want to include captions with the clip, simply click on the captions track icon at bottom left to deactivate the caption track. The button turns to gray, and the captions disappear from the orange editing window. This gives the user full control to decide whether to include captions with a given video. Click and drag your clip to the Field59 button option near top left, and your clip is on its way. During transcoding, captions are embedded as timed text in .mp4 files as well as output as sidecar files.